Thanks to the success of the SELF Journal (our flagship planning, productivity and success tool), our company became one of the fastest growing businesses on Shopify. BestSelf.Co. 's rapid growth helped us win Shopify's first Build a BIGGER Business Competition and a prize that included a week of mentoring from our business heroes on Tony Robbins' private island retreat. 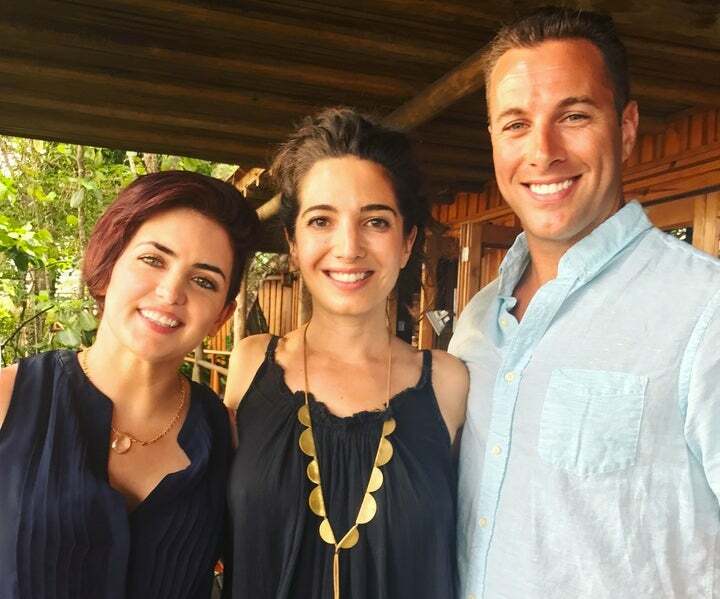 Here's what Marie Forleo, creator of MarieTV and founder of B-School, taught us about marketing while we were in Fiji. Forleo had a lot to share, but without question, our biggest takeaway was to tell more of our customers' stories. We've used storytelling in the past as a tool for our business. For example, we've shared case studies and we post examples of completed journal pages in our marketing and on social media. But, thanks to our one-on-one meeting with Forleo, we realized there's a heap of potential we've not yet explored -- especially because our business helps people write their own incredible stories! All our products are enablers. Everything we create is designed to help people unlock their potential, achieve their goals and create a life they can be proud of. We've had people use their journal to lose weight, start a business, grow a business, write a book and run a marathon. Recently, one customer used his journal to save $20,000. As a result, our products lend themselves perfectly to storytelling. This is important for business growth because as Forleo reminded us facts tell, but stories sell. Our buying decisions are emotionally charged. It's why we'll often buy when we can imagine ourselves in someone else's success story. When you can picture yourself feeling those same feelings of accomplishment and success, you'll often take the same action in an effort to get those results. As a thought process it goes something like this: If they're like me and they can do it, then so can I? So, if you want to persuade people to buy without being manipulative, stories can do a lot of the legwork for you. It's why we're going to follow Forleo's advice and share more. Forleo also explained how she uses customer stories to overcome common objections to her offers. For example, her signature online business building program, B-School, attracts a large percentage of women. This, by default, can make men believe it's not for them. But, Forleo told us a story of a 70-year-old man who had bought B-School and got a lot of value from it. She explained that instead of her trying to convince men that B-School could work for them too, she just tells this story. It's a powerful example through the eyes of a real customer that busts the objection. The words of your customers in your marketing will always be more powerful than what you say yourself. A further benefit of storytelling is the way it builds community -- something Forleo is exceptionally skilled at (and that we're keen to model). MarieTV hosts an audience from 195 countries and has just crossed 34 million views. Her fans connect with each other through the stories they share in the comments and often form friendships in real life. In fact, there have even been two recent weddings between people who met in her community. Customer stories spark conversations and interactions among other customers. We see this all the time in our Facebook group, the BestSelf Alliance. Members share how they personalize their journal's daily pages with drawings and color-coding as well as talking about their successes or asking for ideas when they're struggling. The supportive community that's sprung up around our products is incredible. We feel very humbled and inspired to see how encouraging other journal users are of each other. Forleo helped us see that this community is also a hotbed of organic stories as well as a continuous opportunity to strengthen the relationships we have with our customers. As a result of our time in Fiji, we're keen to strengthen the community we've already built. We plan to follow Forleo's advice and use the Alliance as a platform to reach out. For example, we plan to have more conversations with people like the $20,000 saver. When you chat with your customers, you get incredible market insights as well as stories. So, even though interviewing individuals may not be scalable (because of the time it takes), if you can get a sense from one successful client, it speaks volumes. We'll also follow Forleo's community-building lead by introducing monthly Q&A's as well as other useful features to the Alliance. The more we can impact our customers and help them succeed, the more stories there will be to share. Forleo gave us a pile of examples that highlight the power of storytelling as a marketing tool. Not only can stories help to build a community (that becomes a source of more stories), but storytelling is also a proven technique that allows your audience to see how they can benefit from your product or service without you blatantly selling. What's more, in an age of social media, this more subtle approach can be highly effective. Stories don't look "salesy." Instead, they feel more natural in your customer's timeline, which increases the chances that they'll be viewed, shared and commented on. 1. Figure out a way to collect and identify your customer stories. For example, we use the Alliance as well as email feedback from customers. 2. Look at the results your products and services help customers to achieve. Are there themes that jump out? If so, these could be good stories to start with. 3. Explore different options for sharing your stories. This could include written posts, images, videos and audio. See which resonates with your audience.